As some of you know, I’m a sucker for local produce. 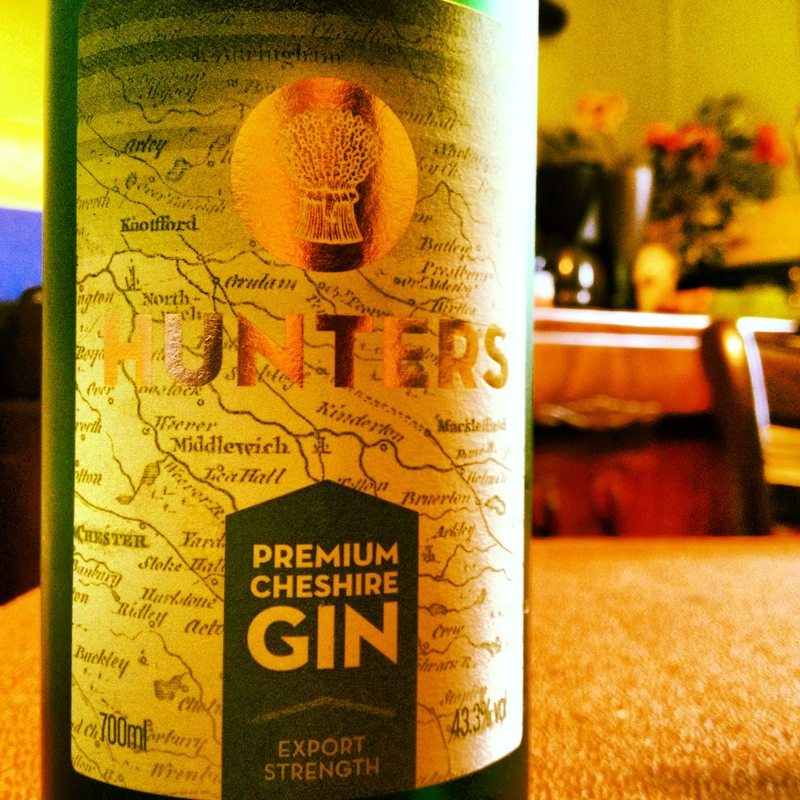 But one spirit that came on board at a recent venture of mine is a premium Cheshire gin named Hunters. Two men are behind the brand – Ian Cass who is a veteran of the on-trade and Jon Jones who is well-known in the off-trade. But how, in such a short space of time, has all this hype come about? Hunters was conceived in Cheshire and made at the Langley Distillery. It’s produced by re-distilling neutral spirit with natural botanicals including juniper berries, citrus peel, angelica, orris root, orange peel and coriander seeds. All these are heated during its single batch distillation using a traditional copper pot still. Each botanical is individually marinated within neutral grain spirit before being distilled. Citrus dominates on the nose with a slight spice following. Slight hit of the spice on the palate, although this develops quickly. Herb flavours come through with a slight dryness to finish. Lingers. So a rather spicy offering, but does it work well within a cocktail? Shake, double strain and garnish with a lemon twist. Hunters can be found in many bars, restaurants and pubs in and around Cheshire and Manchester, and only being less than a year old, I’d expect to see it in many more by the team it reaches its birthday. Or just pick one up for yourself.